Zimbabwe expect to return to Test cricket in "two to three years" after resolving differences that led to some leading players quitting the country. The national team has not played a Test since 2005 after becoming uncompetitive because of a policy of selecting mainly inexperienced black players. But former captain Alastair Campbell told BBC World Service Sport: "Bygones need to be bygones. "I think we'll be good enough in two or three years to get back and compete." Campbell, who played 60 Tests and 188 one-day internationals, is now chairman of selectors of Zimbabwe Cricket and also works with the team as a batting coach. He added: "Selection is now on merit and that's a huge step in the right direction. "ZC makes no apology for the fact that there was a policy of affirmative action before. There are 13 million black people in Zimbabwe and you're not going to will that away - they had to become more integrated." Campbell acknowledged that there were question marks over the "manner" in which the policy was implemented. "I don't think it was thought out. 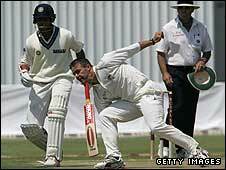 When you get cricketing decisions made by non-cricketers, that is what happens. "There were a lot of people who muddied the waters as well and I think it just became an exercise that had the right intentions but just got out of control." Zimbabwe were granted Test status in 1992 and only took 11 matches to register their first win, beating Pakistan in Harare. They produced a number of world-class players, including batsman Andy Flower, now national team director for England, and seam bowler Heath Streak, with both players having spells as captain. But as international opposition grew to the policies of president Robert Mugabe, teams became reluctant to tour Zimbabwe. Flower and team-mate Henry Olonga took part in a black armband protest against the "death of democracy" in their country during a World Cup match in 2003, which led to both emigrating to England. 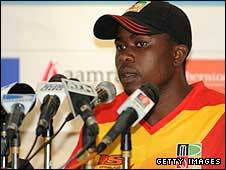 And the situation worsened the following year when Streak was replaced as captain by young black wicketkeeper Tatenda Taibu and he, along with 15 other players, had their contracts rescinded by Zimbabwe Cricket. In January 2006, Zimbabwe withdrew from Test cricket after a series of poor performances but has retained one-day international status since that date. Players like spin bowler Ray Price have returned to the fold and Streak is reportedly close to being appointed head coach of the national team. "We want to get as much expertise here as possible so that when we go for a meeting in two or three years with the International Cricket Council to say that we want Test match cricket back, we have proof that we can sustain that," stated Campbell. Ozias Bvute, managing director of Zimbabwe Cricket, told the BBC that he believed one day everyone would understand what they had tried to do. "To allow cricket to grow, we had to ensure that everybody was represented and that we picked our team from the entire population, rather than just a facet of it," he said. "At one stage we were only able to raise a team from 200 to 300 individuals. That situation has changed now." Bvute added: "Ultimately, you can't take away the fact that there are over half a million youngsters who now play cricket in Zimbabwe, that there are over 200 professional cricketers in Zimbabwe, that wherever you go in and around Zimbabwe, people now know about cricket." Zimbabwe begin a five-match one-day series against Kenya on Monday.